1/2 way between 5 mile and 6 mile rds on the EAST side of Middlebelt in the Terrence Corners Plaza. Groomings available Monday-Saturday 10-6. Sunday 11-4:30. ​Can't take care of your bird anymore ? Give us a call, we may be able to help. 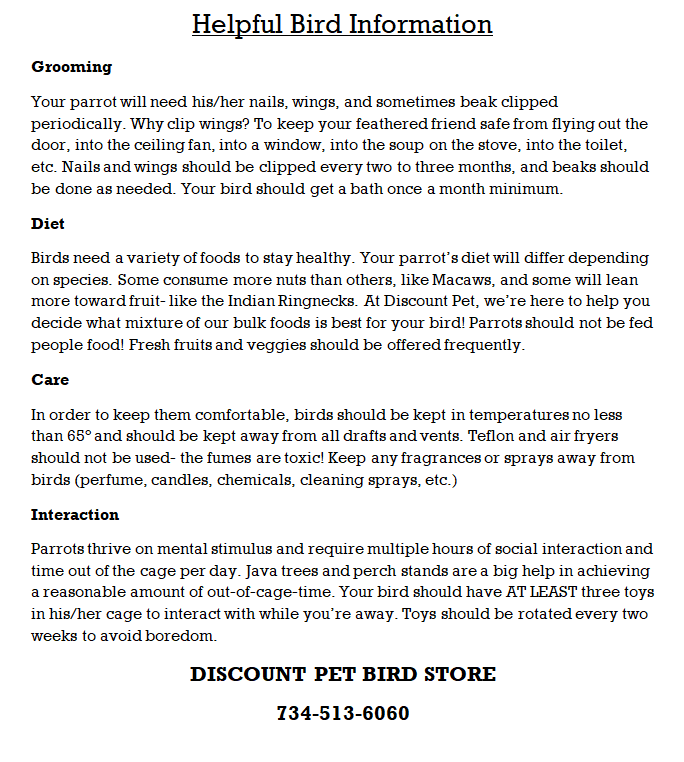 To see our available birds visit our birds page.